My interest in ancient history, mystery, legends, and my love of travel led to The Secret of the Sacred Scarab, the first in my exciting children’s adventure series—Chronicles of the Stone. 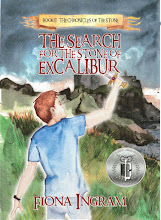 Book 2: The Search for the Stone of Excalibur continues the adventure. 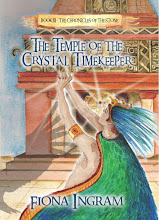 Book 3: The Temple of the Crystal Timekeeper is now available. 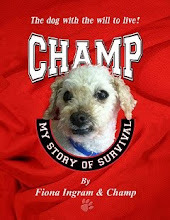 I hope you enjoy my book reviews and news! Visit www.chroniclesofthestone.com for more about my MG book series! Although a retired teacher, Cheryl Carpinello still has a passion for working with kids. She regularly conducts Medieval Writing Workshops for local elementary/middle schools and the Colorado Girl Scouts. She is not the only one who loves Medieval Times and the King Arthur Legend. The kids thoroughly enjoy writing their own medieval stories complete with dragons, wizards, unicorns and knights! She loves to travel and her other job is with a major airline. Her favorite trip was a two week visit to Egypt with her husband that included traveling by local train from one end of Egypt to the other. Some of her favorite books include The Hobbit, The Lord of the Rings, The Once and Future King, and any by the duo Douglas Preston and Lincoln Child. When the King’s Ransom, a wondrous jewelled medallion, is stolen from Pembroke Castle in Wales, it is up to three young heroes to band together to solve this mystery and save a life. Prince Gavin (12), the youngest son of King Wallace and Queen Katherine, and his two friends, Philip (13), an orphan, and Bryan (15), a blacksmith’s apprentice, are an unlikely trio, uneven in terms of social status but firm and loyal companions. Their friend, the Wild Man, is accused of murdering the king’s advisor and stealing the marvellous medallion, a symbol of absolute power and justice, but only in the right hands. Kings have enemies, and it soon becomes apparent that someone was after the medallion for the prestige it would bestow. Gavin, Bryan, and Philip race against time to find the medallion, reveal the true killer, and save the Wild Man’s life. They have only a few days before the arrival of King Arthur. If the medallion is not found, the Wild Man will be executed in front of Arthur. Can they overcome their fears and fulfil this momentous quest? Is it possible the Wild Man has tricked them all and simply used their friendship to get closer to the medallion? What a delightful story. I am familiar with Cheryl Carpinello’s writing from reading and reviewing her first Arthurian book, Guinevere: On the Eve of a Legend. Then I was entranced by the author’s spell-binding descriptions of life in Arthurian times and her meticulous attention to detail. Cheryl’s skills have remained as bright as ever with the unfolding of this fast-paced tale, threaded with mystery, adventure, a bit of magic, danger, darkness, and lovely twists in the end. I so enjoyed the factual information about weapons, clothing, daily life, and places, cleverly interspersed in the text and dialogue to inform without overwhelming young readers. 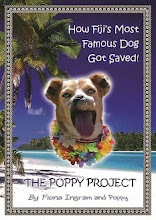 The author has a gift for delving into the depths of each young hero’s psyche. The way each one of the trio faces their fears, learns to believe in themselves, and finds their true meaning and path in life is moving. This is a superb coming-of-age story, set in a time of chivalry and pageantry, and harking back to an age when a hero was truly a hero. Five stars! Cheryl, your book sounds fantastic! I am captivated by this time period myself, so I know I will thoroughly enjoy this book. Best of luck to you! Thanks, Fiona, for the great review. Great review Fiona, and I enjoyed this one very much too. The Dog With the Will to Live!